Elspeth is now officially enrolled in kindergarten for next year. What?! How did this happen? Surely just yesterday she was a baby! I’ve been in denial about this for a while; in fact I submitted her application for kinder several months late rather than face up to it! I’m going to have to start looking at schools soon too! Friends with children of similar ages are already thinking about that. I wanted to homeschool my girls, but I don’t think that’s going to be feasible, at least not immediately. I will have to entrust them to the public schooling system, although I do so with great apprehension! 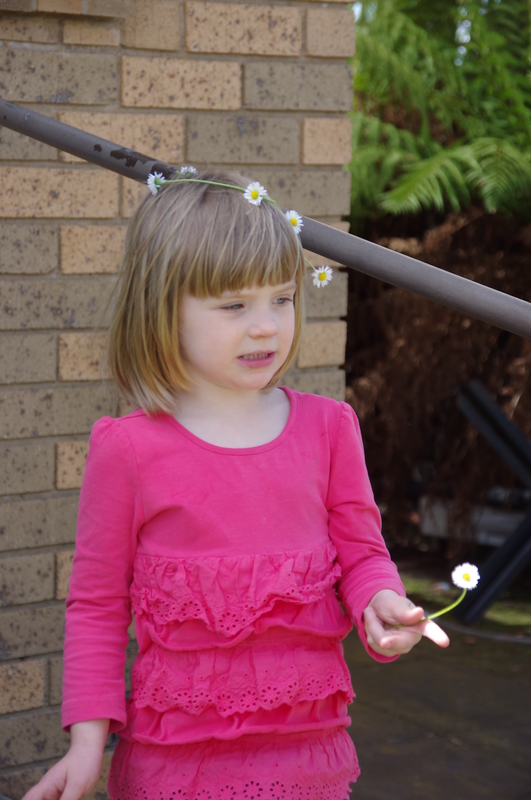 This entry was posted in Family and tagged children, elspeth, growing up, kids, kindergarten. They grow so freakin’ fast!!! I am constantly in a battle with myself, between celebrating milestones and new achievements, vs wishing it would all slow down!! !